Manufacturers today recognize the importance of universal CAM softwares and its role as an invaluable tool in their daily operations. Powerful new CAM technologies are flexible enough to address your metal shop’s unique requirements. These softwares deliver optimal material utilization along with efficient machine cycles while reducing engineering time. As well as effective programming of parts and optimal nesting new universal CAM softwares deliver functions that improve the entire prodcution cycle. Complete integartion with ERP/MRP systems permits seamless integartion with existing processes. 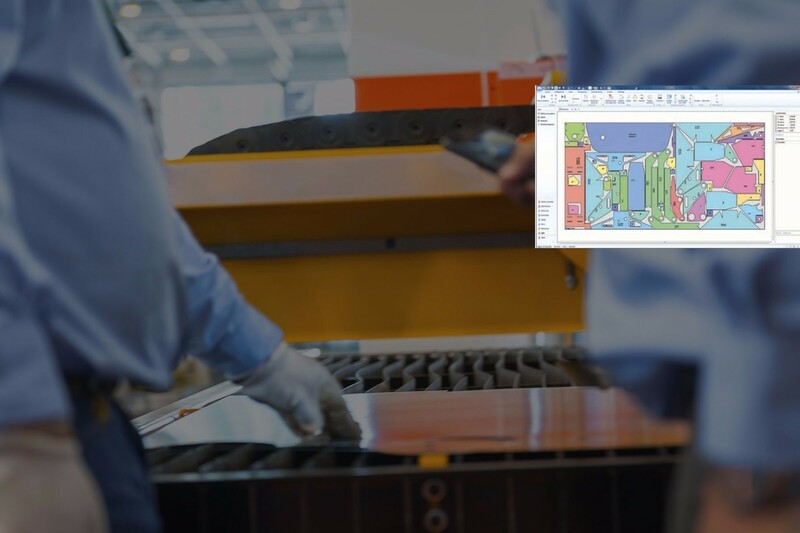 CAM applications will import spreadsheets with critical produciton data like quantities, material type, and thickness thereby automating a large part of the prodcution planning process. Todays universal CAM softwares support routing, punching-nibbling, bending/unfolding capabilities, and 2D & 3D cutting processes. They easily and efficiently work with any machines and robots in the market today eliminating the need for multiple OEM CAM softwares. A typical shop with turret punch presses, laser-cutters, and perhaps a plasma table could find themselves working with several different CAM applications. Now one CAM product can generate G-code for all operations.